The “deal with the devil” in Libya that doesn’t solve anything. Arrivals decreasing – until when? – while the probability of dying at sea gets higher. Closed borders that turn Northern Italy into a desolate waiting room for Europe. The Kafkaesque stories of denied justice in Sicily – from mistaken identities to smugglers becoming scapegoats for traffickers – and the terrible ones of young Nigerian women fallen victim to human trafficking. But also the overlooked genocide of the Rohingyas in Asia and the uncertain future of Daca in the United States. Lastly, a manual for a more informed debate about migration and a political map to understand how German parties – almost on the eve of elections – deal with the question of refugees. The number of arrivals decreases and the Italian government celebrates the success of its controversial strategy in Libya. Unfortunately, there is very little to celebrate and a possible solution seems really far away for the African country; Claudia Gazzini on International Crisis Group explains why the cooperation with armed militias is not a suitable policy, while Libya should be working on a real political and economic stability instead. Arrivals are decreasing (only to a certain extent, as pointed out later on), but the journey is increasingly risky and entails a higher probability of dying at sea. If one out of 90 migrants lost their life in the Mediterranean in 2016, this proportion falls to one out of 50 in 2017. Anealla Safdar’s analysis for Al Jazeera. 3. A new wave of arrivals in Sicily? The situation had been fairly quiet for a couple of months, but since last Friday rubber dinghies have been crowding the central Mediterranean again; dozens of missions were carried out and thousands of people were rescued over the weekend by military ships and those few NGOs that keep working in front of the Libyan coast. It is too soon to talk about a counter tendency, but numbers are conspicuous. Fabio Albanese’s article for La Stampa. There is a man in Palermo who has been in jail for over a year and met the judges about twenty times already to face very serious allegations. 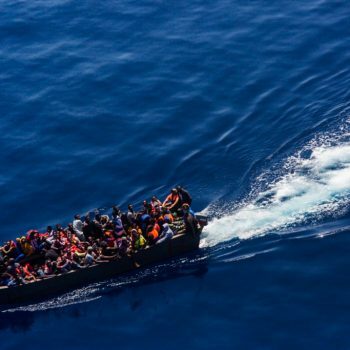 Magistrates maintain they are conducting a trial against Medhanie Yehdego Mered, one of the most important human traffickers in the Mediterranean. The defence lawyer tries to prove – sound evidence in his hand – that the man sitting in front of the court is instead Medhanie Tesfamariam Berhe, an asylum seeker from Eritrea, victim of a dramatic miscarriage of justice. Eric Reidy’s reportage for Refugees Deeply analyses this Kafkaesque situation (also read the New Yorker’s article published some months ago). Medhanie’s case is indeed extreme, but it is just the tip of the iceberg. 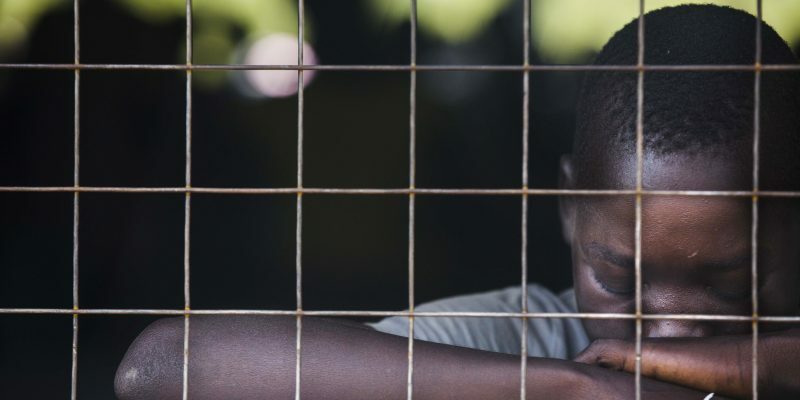 An important report by Zach Campbell for Intercept reveals that 1,400 “smugglers” are held in Italian jails, accused of aiding and abetting illegal immigration for piloting a rubber dinghy. This is the result of a clear judicial strategy that aims at detaining one or two people for each big arrival, and accepts to treat these young men – forced to become helmsmen of their boat by traffickers, and completely unrelated to the trafficking business – as criminals instead of asylum seekers, just to find some scapegoats to take to court. Whether they are guilty or not. While crossing the Mediterranean on a rubber dinghy, Blessing tried to bear up, thinking that on the other side of the sea she would find a job and the possibility of a future waiting for her. But all she found was a life in the streets, abuses, prostitution. Read the reportage by Francesca Mannocchi, together with the photos by Alessio Romenzi, on the network of traffickers that takes underage girls from Nigeria and forces them to sell their bodies in our cities, in Italian on L’Espresso or in English on Refugees Deeply. You can also read the in-depth analysis by Lorenzo Tondo for The Guardian. Migrants coming to Italy through the Mediterranean dream to continue their journey towards Northern Europe, where they will find a better reception and a job, where their family and friends already live. But borders are closed everywhere, including Brennero, and any attempt at crossing turns out to be a desperate – and sometimes deadly – endeavour. Fiona Elhers’s reportage for Der Spiegel explains how the railway station of Bolzano has become Europe’s waiting room. There is a lot of talking about migrants and refugees, but among fake news and unverified data, it is easy to hide behind opinions disregarding the actual facts. For this reason Luca Misculin wrote a conversation manual about migrants for the Post (it has been updated since with an appendix, to address questions and criticism), whose goal is to promote an informed debate: how many migrants are coming, from where, why? How are they distributed in Italy? Do they really live in luxury hotels and receive 35 Euros a day? Does the dichotomy between refugees and migrants or the slogan “let’s help them in their country” make any sense? Can we say for sure that terrorists come on boats as well, or that NGOs collude with traffickers? Is it true that the migration flow has stopped and no-one dies at sea anymore? Elections are drawing closer in Germany, and in preparation for this important event Human Rights Watch analyses how the different political parties tackle the refugee crisis. You can read it together with the report of The Economist on the success of the German strategy for integration. It is the most grievous and atrocious case of ethnic cleansing of the past few years, yet the international reaction to the massacre of Rohingyas has been weak, to say the least. For this reason, it is important to shed as much light as possible on the topic and to denounce what is happening in Myanmar, where 40% of the Rohingya villages have been abandoned. The editorial of the Washington Post (also read the explainer by Al Jazeera and the one by Newsweek, and the report by the New York Times). 10. DACA: yes or no? Eight hundred thousand: this is the number of illegal immigrant children that an executive order by Obama (Daca) had legalised, and that would be damaged by Trump’s decision to abrogate the measure. The announcement of this decision caused indignation and protests against the current President of the United States (apparently among his voters as well), to the point that he seems now prone to change his mind on the matter. Voices mention a strange deal with the Democrats, which was about to be signed and was withdrawn instead: the articles by Vox and Atlantic (also read the fact-checking by Politifact and the analyses by Daily Dot e Quartz on the alleged unconstitutionality of Daca). Translation by Lucrezia De Carolis. Photo: UNMISS (CC BY-NC-ND 2.0).